Jaguar Company, known for luxurious and visually appealing cars, expands their collection of perfumes with two brand new editions. 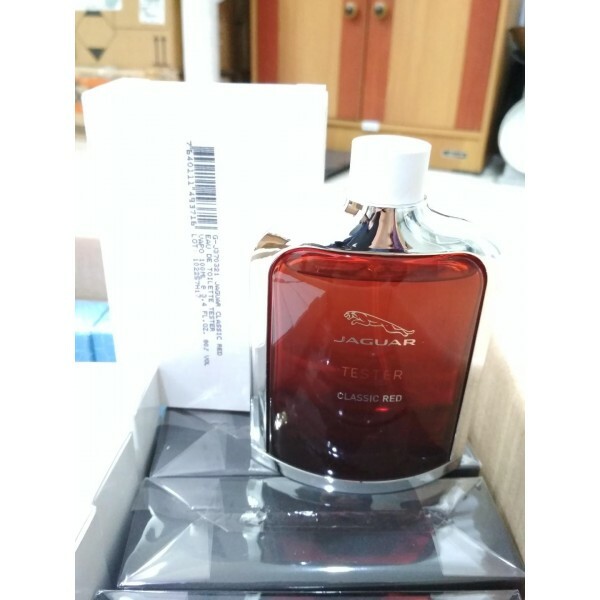 These are fragrances for men Jaguar Classic Gold and Jaguar Classic Red available in characteristic flacons, as those of previous editions Jaguar, Classic Black and Classic Amber. The new flacons have the same form and accentuated the colors selected for the names of the new fragrances – red and gold. Jaguar Classic Red has also been announced for 2013. The fragrance aims at modern man who lives for excitement. Its notes offer a blend of raspberry, blueberry and bergamot as an overture to jasmine, pepper and ozone in the heart. Beli Tester parfum original Jaguar Classic Red for Men sekarang, harga termurah di Indonesia!! Nikmati promo dan penawaran eklusif parfum original Jaguar hanya di bakul parfum.